The Alliance-Philippines expressed militant solidarity with the Armenian Community in the United States in commemorating their Day of Remembrance for the 1.5 million victims of the Turkish genocide of 1915. The Alliance highly criticized US president Obama’s posture who refused to declare the 1915 mass killings of Armenians a genocide. In a double speak, Obama in his statement to mark Armenian Remembrance Day, Obama described the killings of 1.5 million Armenians by Ottoman Turks as "one of the worst atrocities of the 20th century." Yet for the second year in a row, Obama avoided describing the episode as a genocide. 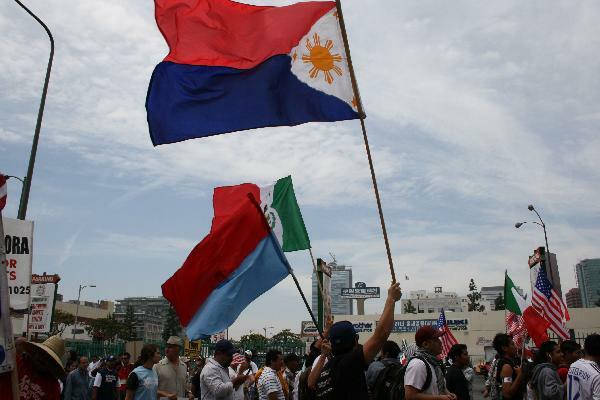 Los Angeles—The Alliance-Philippines expressed militant solidarity with the Armenian Community in the United States in commemorating their Day of Remembrance for the 1.5 million victims of the Turkish genocide of 1915. The Alliance highly criticized US president Obama’s posture who refused to declare the 1915 mass killings of Armenians a genocide. In a double speak, Obama in his statement to mark Armenian Remembrance Day, Obama described the killings of 1.5 million Armenians by Ottoman Turks as "one of the worst atrocities of the 20th century." Yet for the second year in a row, Obama avoided describing the episode as a genocide. Armenian American groups and their allies in Congress have been pushing for use of the term, and as a presidential candidate in 2008, Obama promised he would. AJLPP shares the sentiments of the Armenian National Committee of America that issued a statement Saturday describing Obama's declaration as "yet another disgraceful capitulation to Turkey's threats, offering euphemisms and evasive terminology to characterize this crime against humanity." “The Philippines like Armenia under Turkey , during the turn of the century suffered the duplicity of US Imperialism. Together we remember the Philippine and Armenian genocide. No matter how the US and Turkey refused to remember or admits its guilt, our people will never forget.